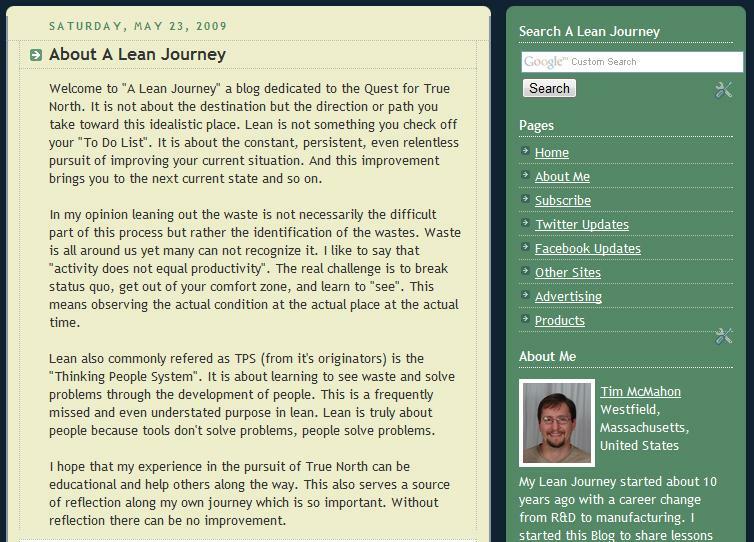 When I posted my first blog post about two and a half years ago on May 23, 2009, not for one moment did I anticipate 500. But I confess that I enjoy it – I hope a pleasure for you as well. In this post, I thought I’d chronicle my blogging experience by looking back at some of my blog posts. In my first post I set out to explain my thoughts on Lean and why I wanted to share my journey with you. Little did I realize at that time that I would learn more from you than from what necessarily share. The sharing within the Lean community has been an invaluable learning experience. 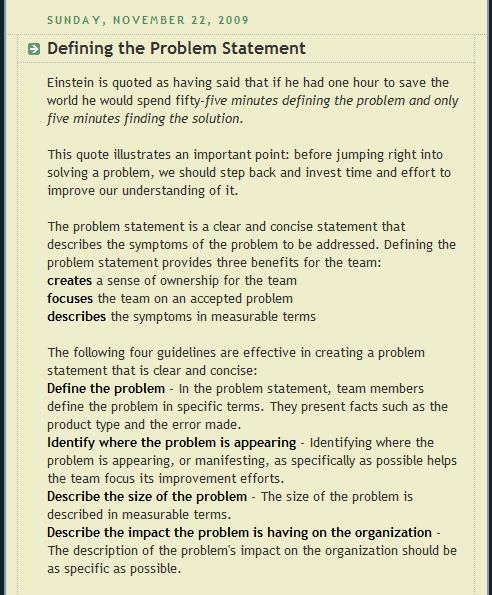 Lean Thinking has a lot to do with problem solving so in my 100th post I discuss how to define the problem statement. 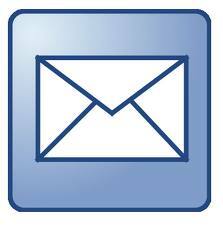 A properly defined problem in the beginning can save valuable time in solving the right problem. I started doing the Friday Lean Quote November 13, 2009. 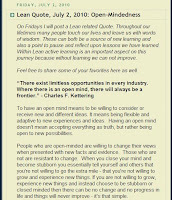 The 200th post was a quote from Charles Kettering on the limitless opportunities from having an open mind. 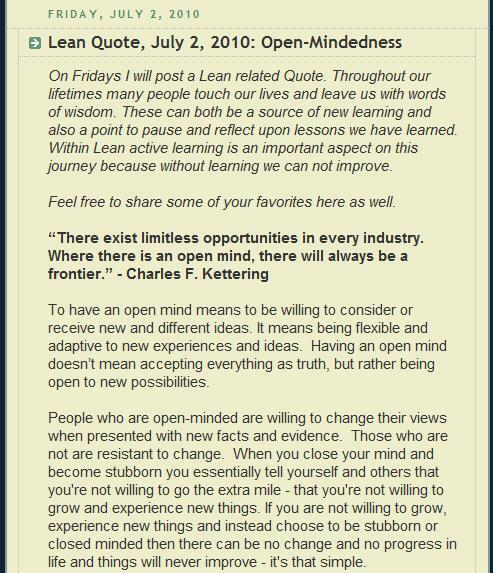 Since change is so difficult I thought it was important to reiterate the value of having an open mind. 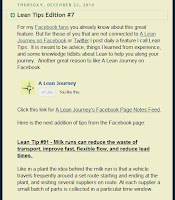 Daily Lean Tips was a feature I started on our facebook page in July of 2010. 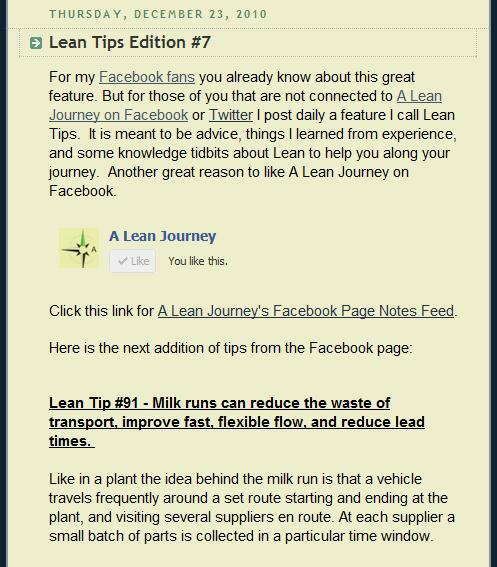 As a way to stimulate Lean Thinking I post a comment, tip, or advice on a Lean idea daily. I share those collective tips every 3 weeks or so in a new edition in a post. 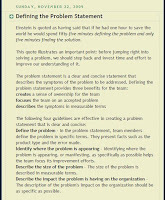 Lean concepts are all around us in our daily lives and from time to time I share those with you. 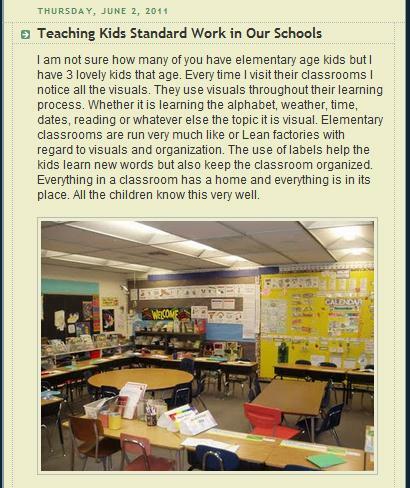 This post happened to highlight standard work from my son's school classroom. They have a morning routine with a posted sequence to follow. 500 posts is quite an accomplishment. Congratulations, Tim! Here is to the next 500 posts!